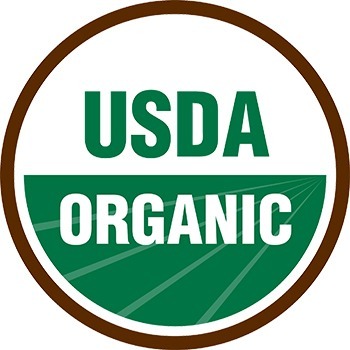 The organic label has among the strongest standards for environmental sustainability including prohibiting synthetic fertilizers and industrial pesticides. Animal feed must be 100% organically produced and without animal byproducts or daily drugs. GMOs are prohibited (though testing is not required).